I’m a food blogger. 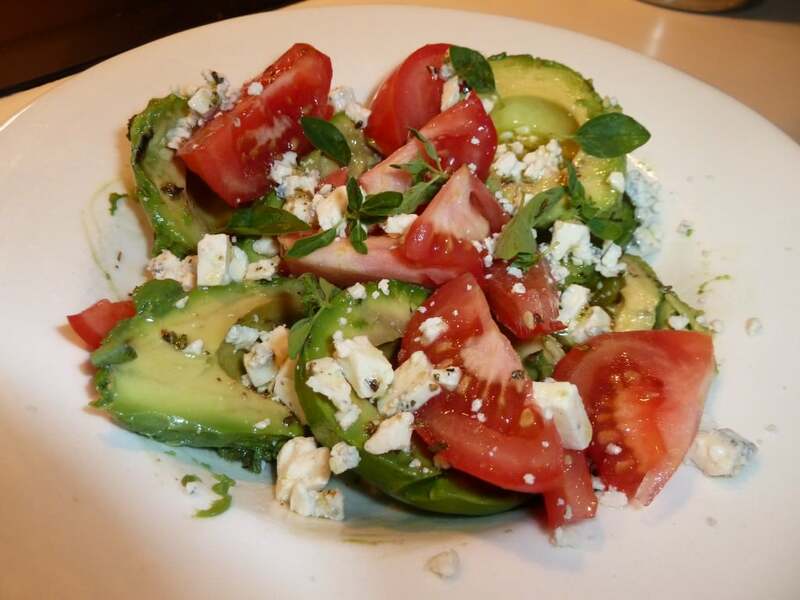 I’m American, living in a Detroit suburb, but I blog mostly about Greek food. Here’s a question for my fellow food bloggers: Have you ever found a blog that does what you aspire to do, but better than you’ve ever imagined? This year I found one. My online friend Peter Minakis from Toronto is the genius behind Kalofagas.ca. His blog is so inspiring. The recipes, photos, history and travel, everything is done in impeccably good taste. I’ve mentioned him before in a previous post. I don’t want to sound like some cyber sycophant. You don’t believe me? Visit his site yourself. You’ll see. So when I was looking for a new pork chop recipe, Kalofagas was the first place I visited. I found Peter’s Pork Chops with Honey Mustard Glaze. Easy and delicious! I served them with steamed cauliflower and an avocado tomato salad with lemon mustard vinaigrette and blue cheese. 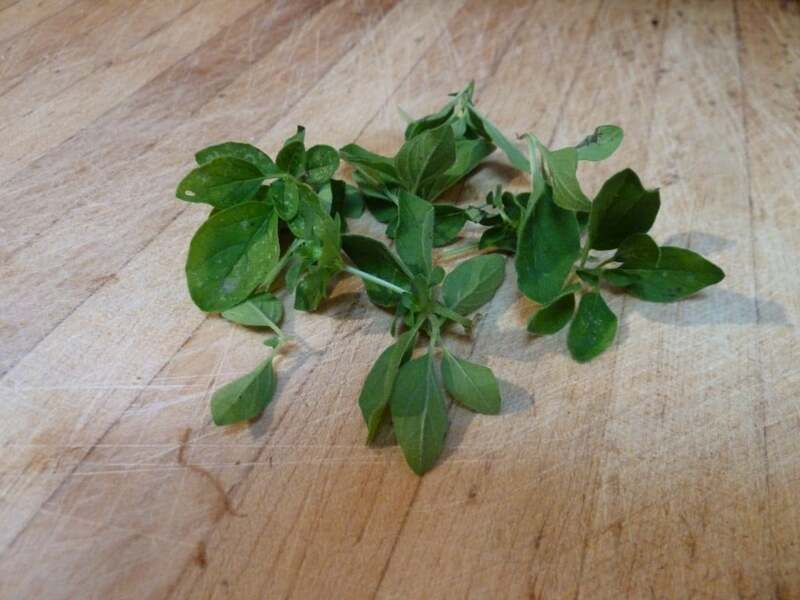 I used dried and fresh oregano from my garden. 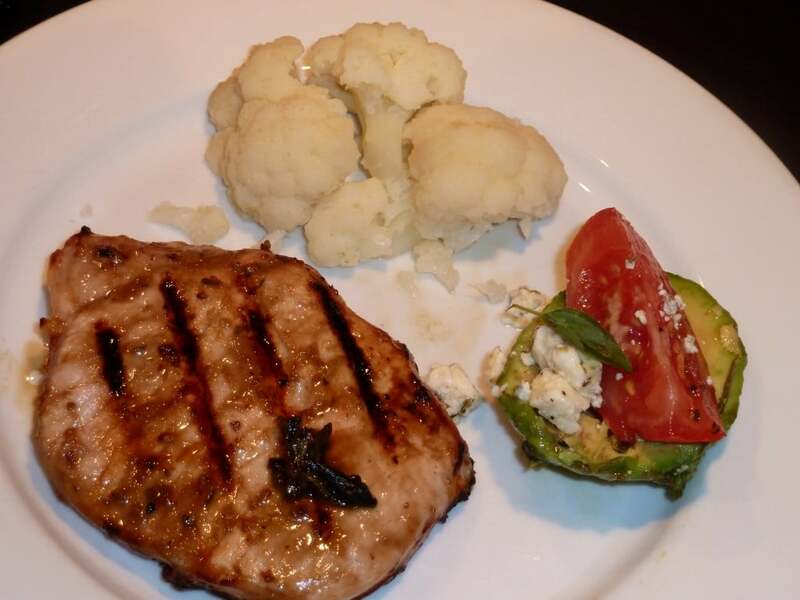 Try Peter’s pork chop recipe and let me know what you think. I guarantee you’ll love them! Those look sooooooo yummy. It is dinner time and I’m hungry too so that probably doesn’t help me from wanting to lick the screen. LOL That salad looks good too. Nice and summer’y. 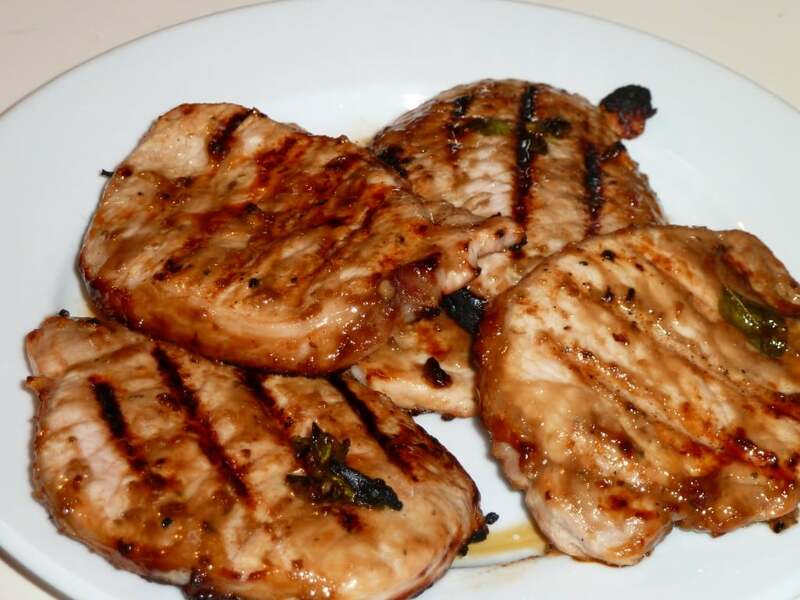 Kitoula, delighted to see that you enjoyed these pork chops and thank you so much for your kind words!